The FPGA's MGT lines support rates up to 12.5Gbit. The module is equipped with 1 GByte of DDR3L SDRAM and 32 MByte of Flash memory as a storage for configuration bitstream. 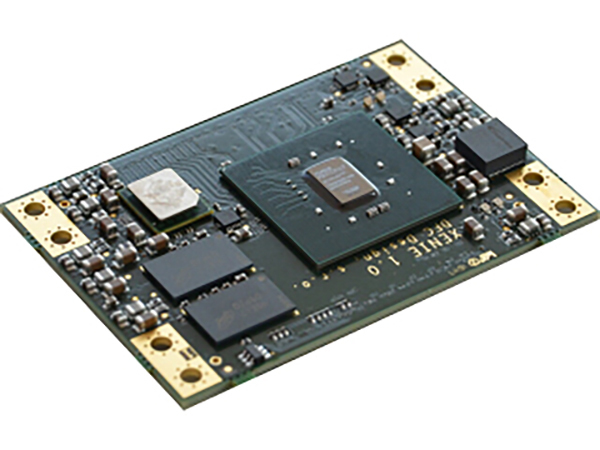 Six GTX multi-gigabit transceivers and three full FPGA I/O banks (in total 150 single-ended I/O or up to 72 differential pairs) with configurable IO voltage are available via two high-speed, high-pin-count, board-to-board connectors. All other necessary supporting circuitry, like clock oscillators and voltage regulators are placed on module, requiring the user to attach literally only connectors and a single DC power supply.